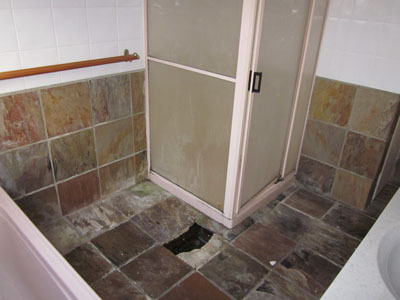 Leaking showers can cause thousands of dollars worth of damage. Not just to the bathroom but also to adjoining rooms and ceilings below, with floors, carpets, gib-board and framing timber often needing replacing. In this case it was a simple crack in a plastic shower door that was the source of the water leak but often it can be as simple as a split in the silicon seal. Every time the shower is being used water damage is occurring. 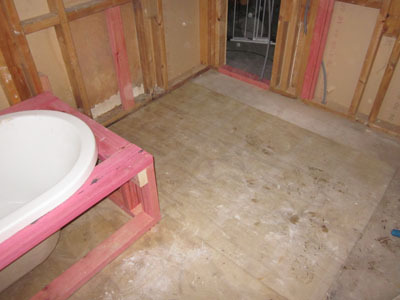 With a lot of New Zealand's older homes being built with particle board flooring, this product does not react well with water, with the result often resembling what we have for breakfast. The Weetbix effect! So to future proof the flooring it is now good practice to fit tantalised plywood which can cope well with any exposure to water. The damage caused by a simple shower leak will not just effect you financially but can also be a serious risk to your health. The excess moisture is very often a common cause of breathing problems such as asthma and fluid in lungs. If you have the slightest suspicion that you may have a leak, get it checked out by a professional. It's not worth the risk of leaving it for another day. 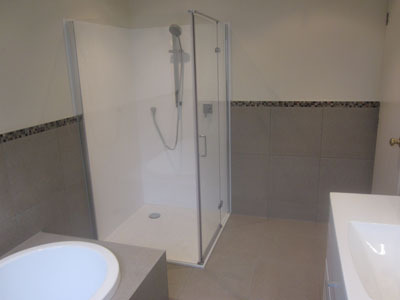 Our aim is to take the hassle and stress out of your bathroom renovation.